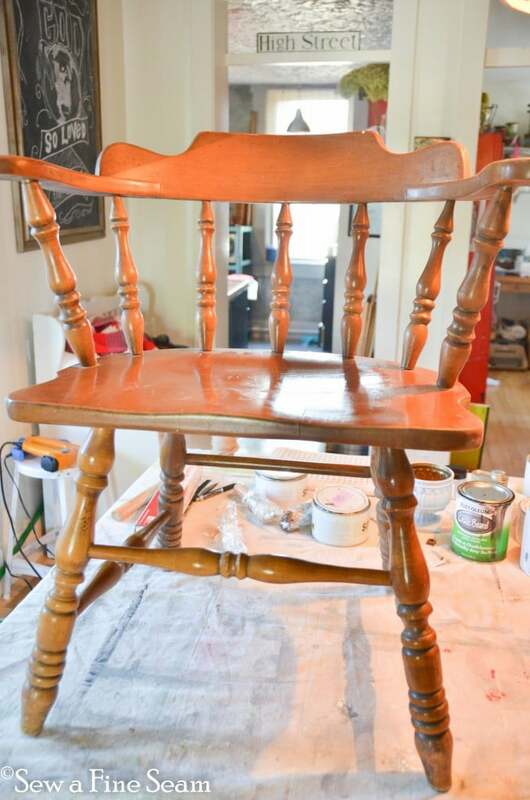 Milk Paint, a Chair – and an ‘After’! I got so tired last night I went to bed without writing a blog post. I peeled my eyes open a bit before 7:30 this morning, and almost turned over and went back to sleep. Almost. But a friend of mine is having a garage sale and I just couldn’t stand the thought of missing out on all her vintage treasures. So I dragged out of bed, threw on some clothes, pulled a brush through my hair, kissed my sleeping girls good-bye, grabbed some coffee, and headed out into the brisk morning air. And since I can’t stand showing you a bunch of ‘befores’ and not sharing some ‘afters’ I’m doing a quick blog post now that I’m back from my garage sale run 🙂 This chair is big and cute. And has lots of creases to get paint into. It took awhile to get this thing painted! Here is the ‘After’. She dresses up quite nicely in white don’t you think? 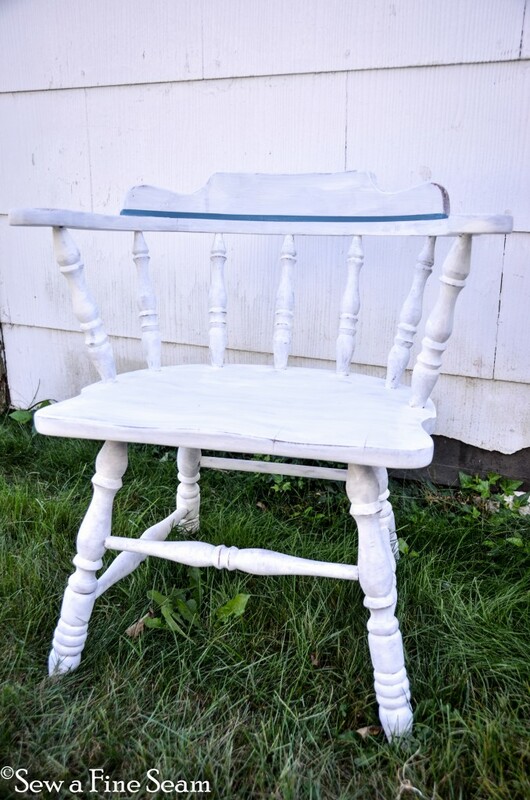 I used MMS Milk Paint in Ironstone. No chipping with this one! I did a bit of sanding to smooth the finish – feels like silk now! And that’s it for today. 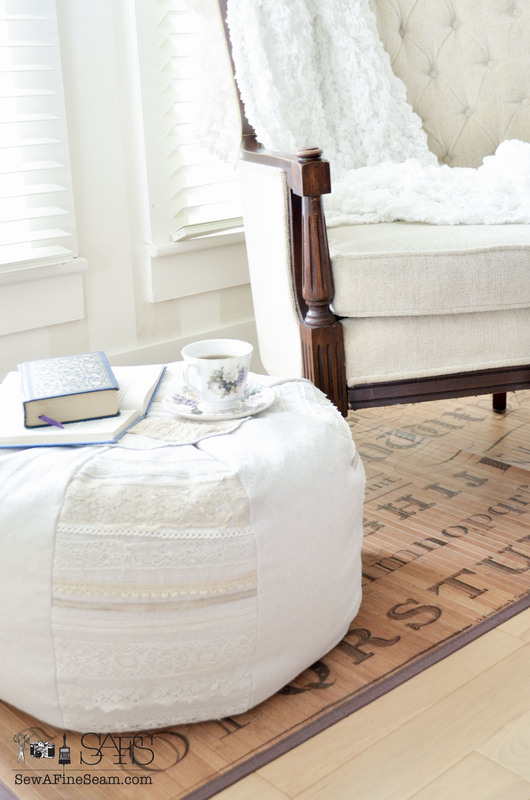 I did take pics of all my finished projects yesterday so come back – I’ll be sharing more ‘Afters’ soon! Get my posts in your inbox! Sign up here. Your booth is going to be lovely! How fun to set it all up~even though it’s a lot of work too! Can’t wait to see pics of the table! Thanks! 10 more projects done today! Getting there! What a cute chair! 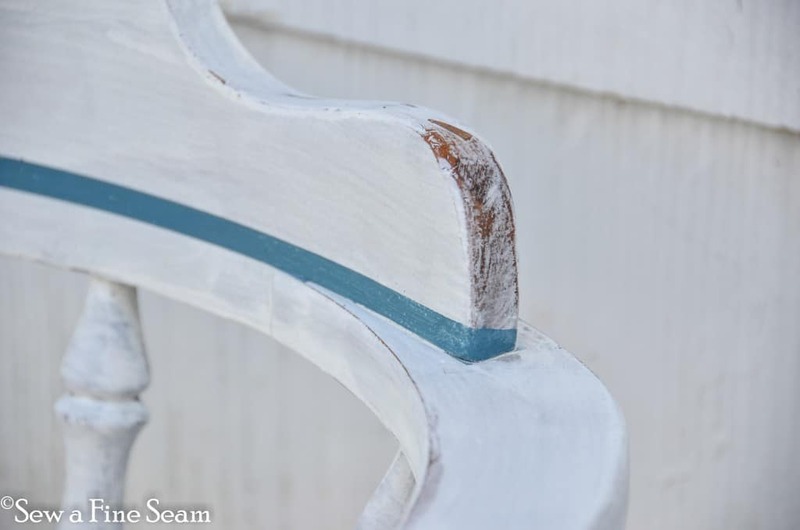 I have been dying to try that milk paint! so glad to hear you like it! Thanks Donna! Milk Paint is so fun! 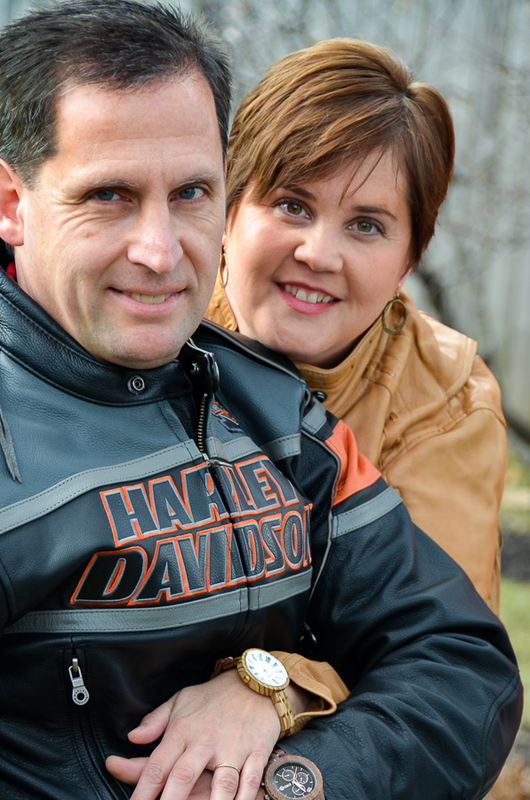 It is different and has a mind of its own – you never know just what it is going to decide to do! it’s always a relief to find souls who MUST paint everything they find white. love it! So cute Jill! I love the crisp white. 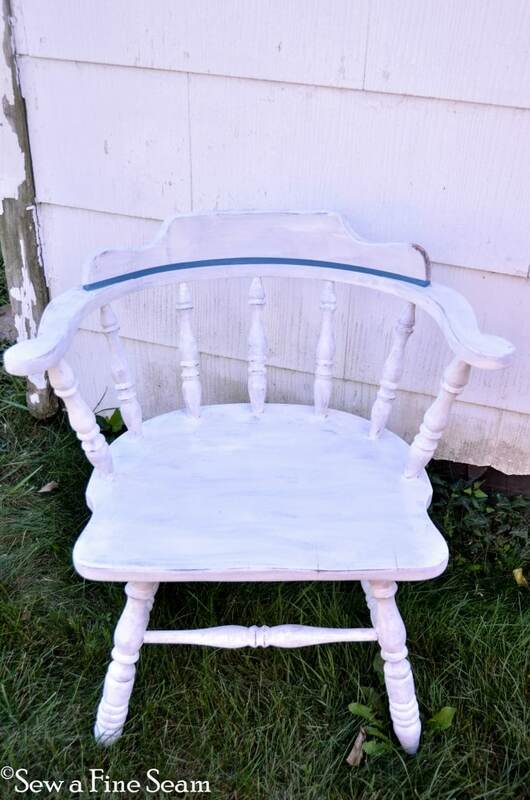 I have yet to try Milk Paint!